Sydney, the capital of New South Wales, with its iconic bridge and opera house is more than just a beautiful location, with its friendly approach to business, great coffee and a strong start-up culture, it is the place to do business. Australia continues to produce some great talent, creative and innovative people and these people have flocked to Sydney. Exhibiting here will put you in front of key decision makers, generate large volumes of business leads expand your business’s reach and create international exposure. 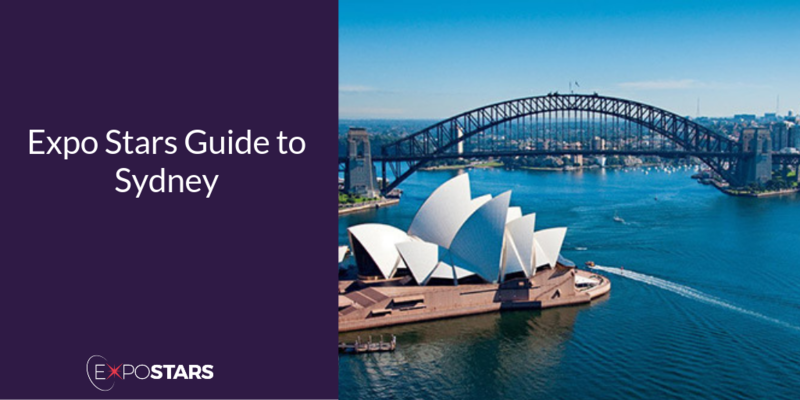 Once you land at Sydney’s International Airport, Sydney is within easy reach thanks to its public transport system which features a comprehensive network of train, bus and ferry services. Light rail lines, airport links, sightseeing buses and taxi services bolster the network. ICC Sydney - this convention centre connects to the city’s financial districts, creative and education hubs. With its striking contemporary design, industry leading technology and flexible multipurpose spaces, it is equipped to address all convention, exhibition and live event needs. Where to start? Sydney is the oldest, biggest, and most beautiful of all Australian cities and it is the perfect spot of land and sea. There is so much to see and do in this gorgeous city, trying to fit it all in will be tough. Saint Peter - Seafood restaurant extraordinaire. Hubert - where French cuisines meets Australia. Paper Bird - Korean food, but for the modern Sydney.